Un film di Susan Johnson. Con Noah Centineo, John Corbett, Janel Parrish, Anna Cathcart, Lana Condor. 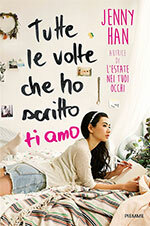 Titolo originale To all the Boys I've Loved Before. Drammatico, durata 99 min. - USA 2017.